Headquartered in San Francisco, CA. 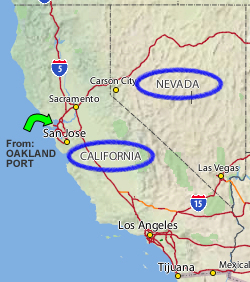 Service provided throughout California and Nevada. SK Transportation is committed to delivering quality service, especially when you need support. Just e-mail or call us. Copyright 2008 SK Transportaion Inc.